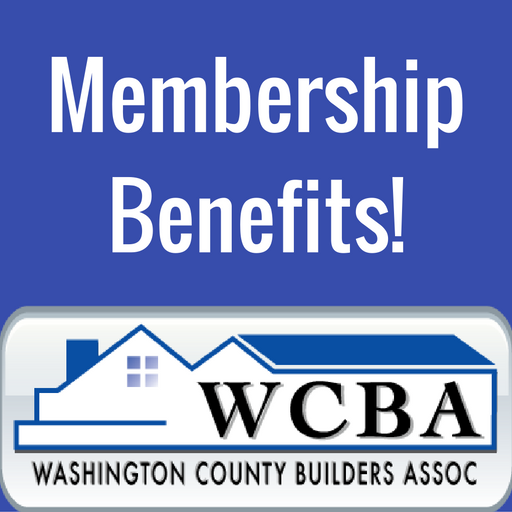 The Washington County Builders Association (WCBA) is a non-profit trade organization dedicated to promoting a positive business environment by uniting, serving, and representing all aspects of the building industry. The WCBA’s services and activities foster the professionalism of its members and provide a forum for education and information exchange for the benefit of the industry and the communities its members serve. The WCBA takes great care to make sure its members are held to the highest standard of professionalism. For the protection of their customers, potential WCBA members must have a grade of a “B” or better with the Better Business Bureau. Throughout its 50-plus years, the WCBA has always maintained a strong commitment to give back to the local community. The WCBA Trade Scholarship Fund annually provides scholarships to area students who plan to continue study in a construction-related field.